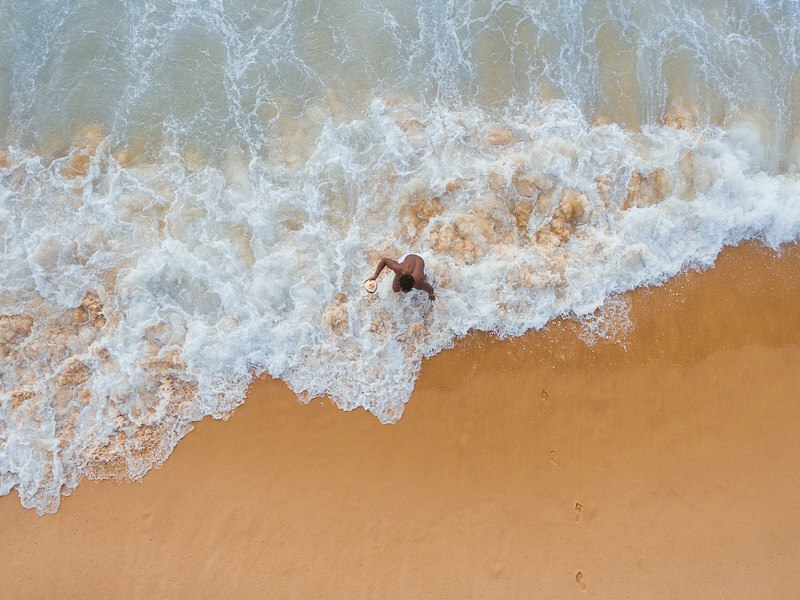 The exquisite tropical island of Mauritius is well known for its enchanting white-sanded beaches, tropical sunshine and the laidback island life. It has fast become the mecca for golf enthusiasts in search of the ultimate golfing course. 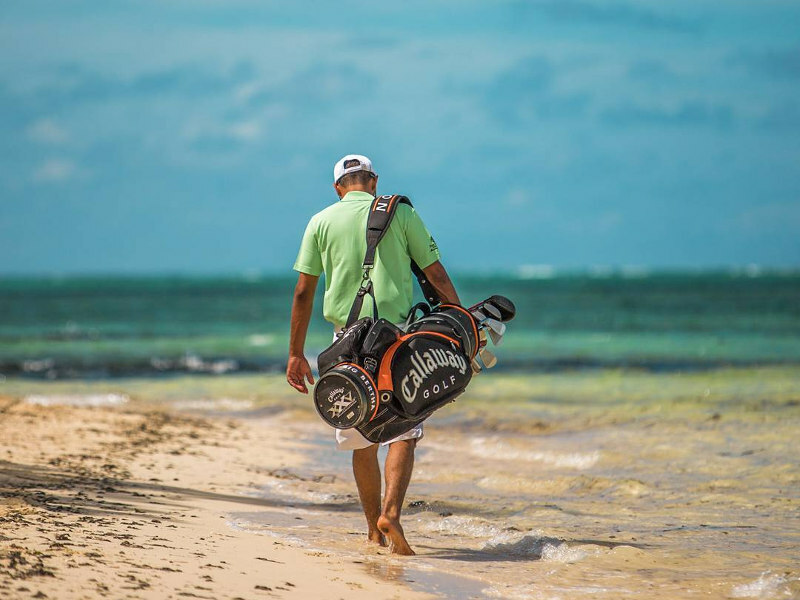 What makes the epic sport of golf on this island destination more appealing is the fact that many Mauritius golf resorts have alliances with each other, affording visitors the opportunity to use more than one golf course with ease. With the sport being one of the main attractions on the island, visitors are in for a spectacular treat. Before you book your flight to this sensational island getaway, here is a handy guide to all of the top golf resorts you can choose from. It will delight you to know many Mauritius golf resorts offer their guests complimentary golf packages with green fees – fees charged for playing one round on the golf course – and (golf) range balls. For amateur golfers, some Mauritius golf resorts include learning opportunities and apprenticeships with world-class academies which will see you swinging birdies on the respective golf courses in no time. 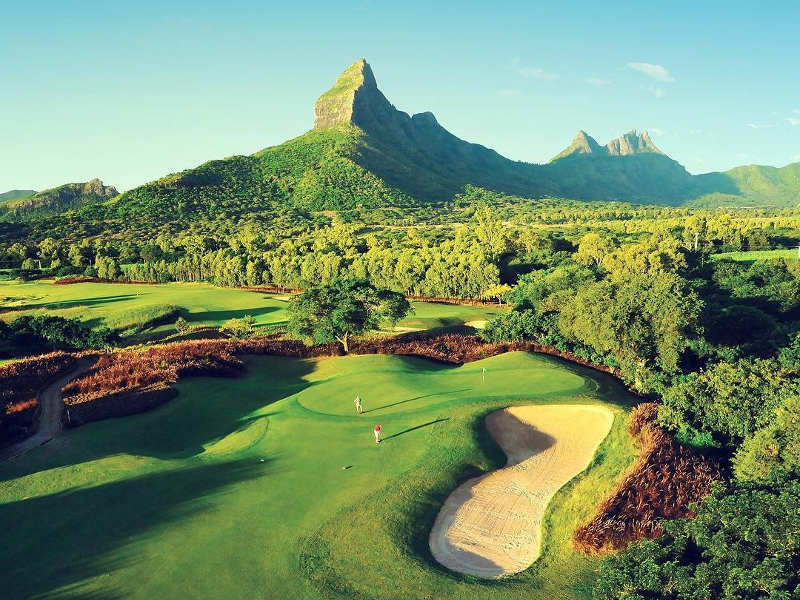 A golfing holiday in this tropical paradise will provide you with a calm, yet fun day out exploring these Mauritius golf courses, amongst picturesque sea and emerald forest views. The elegant 5-star Anahita Golf & Spa Resort is nestled on the eastern coast of the tropical island of Mauritius. It is considered one of the finest luxury golf villas on the island. The Anahita Golf Course was designed by prestigious golf champions, Ernie Els and Bernhard Lange, sporting six oceanfront holes with an enviable backdrop of epic emerald mountains and a stunning lagoon. Golfers will delight in the fact that the golf course was built to USGA (United States Golf Association) standards and is one of the first of its kind on this island. The Anahita is mindfully integrated into the surrounding environment with large fairways and five sets of tees. 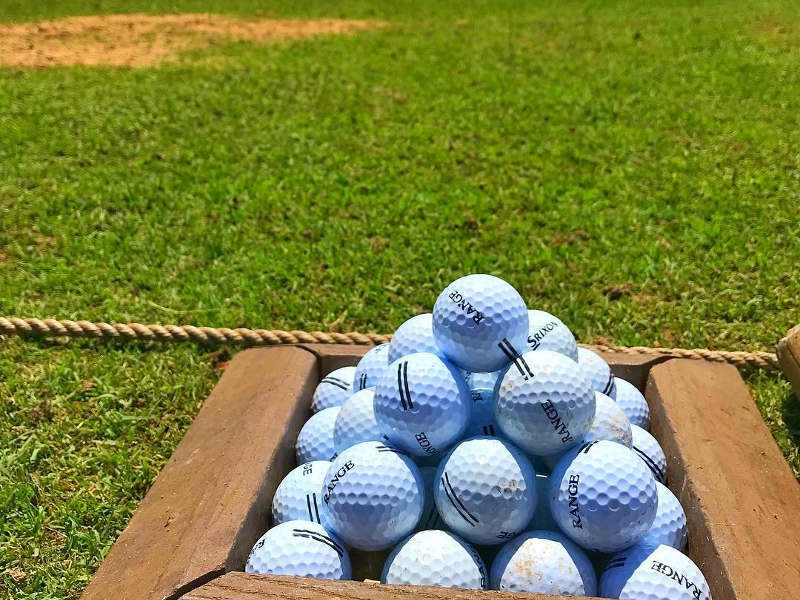 If you’re a newcomer to the course, The Four Seasons Golf Academy Mauritius will happily assist you with perfecting your game. Do yourself a favour and be sure to visit the Mauritian-styled clubhouse where you’ll be served five-star cuisine. 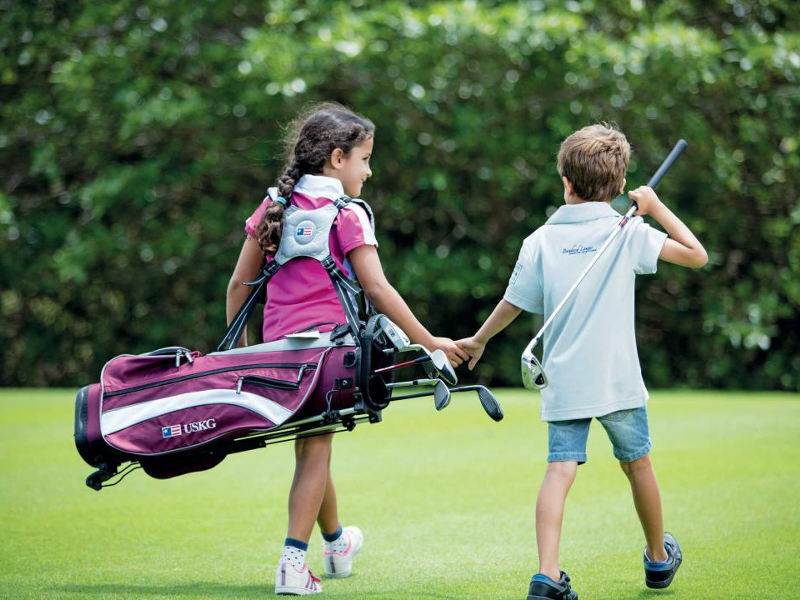 The Four Seasons Golf Academy at Anahita serves all levels of golfers, from beginners to novice players. The programme aims to address and enhance all features of the game such as the full swing, course management, mental training, fitness and properly fitted equipment. Facilities: clubhouse, fitness centre, driving range, Pro Shop, golf academy and restaurant. The golf cart and practice balls are included in the green fees. Guests staying at Anahita Resort or The Four Seasons have free, unlimited green fees, including 55 free golf balls, golf cart, and GPS system. This 18-hole Mauritius golf course covers an area of 100 hectares and was designed by South African golf architect Peter Matkovich. This island golf course is shared by the Heritage Resorts group, including Heritage Awali Golf & Resort and the Heritage Villas. This unforgettable golf experience offers scintillating landscapes with tropical trees, small lakes, and streams. The championship course is considered to be challenging. 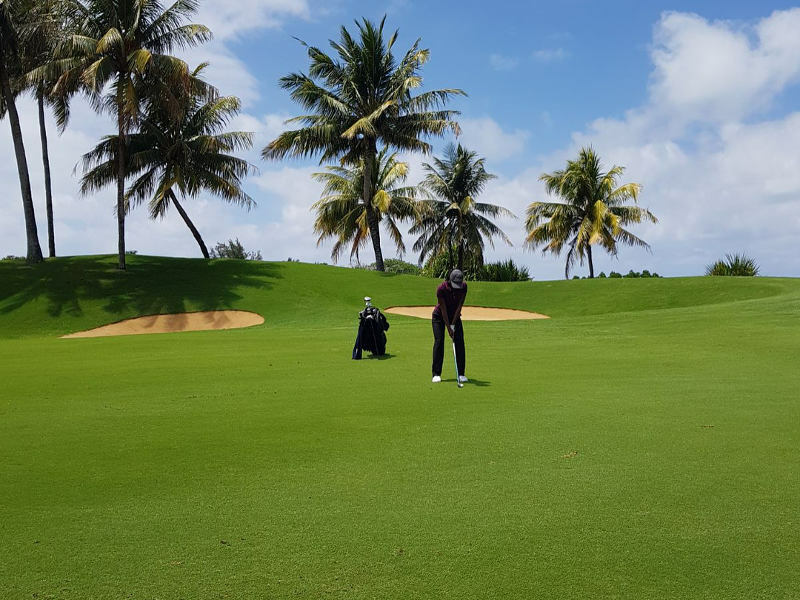 Advanced players will surely enjoy the challenge offered and beginners will enjoy the great experience of the magnitude of this Mauritius golf course. The final hole provides an elevated tee which opens up to stunning views. Golfers are given a maximum of 4 hours and 30 mins for 18 holes. 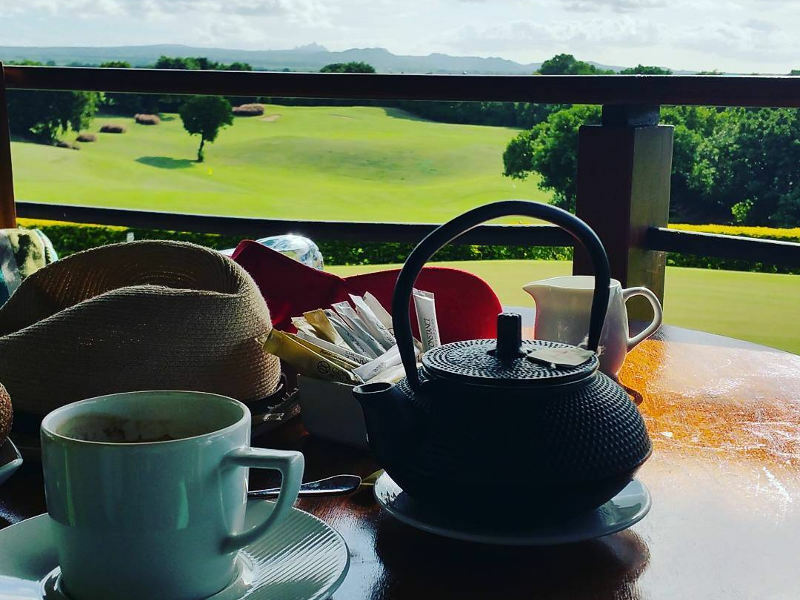 Guests at Le Telfair Golf & Spa Resort do not have to pay green fees. Facilities: putting green (a smooth grassy area used for practice), driving range, Pro Shop, bar and restaurant, chipping facilities, caddies, locker rooms and shuttle service from the hotels (Heritage and Le Telfair). The golf course at Beachcomber Paradis Golf Resort & Spa is a spectacular sight to behold. You’ll see an incredible backdrop of glorious mountains and a beautiful bay. The Paradis Golf Course is nestled between Le Morne Mountain and Morne Peninsula’s turquoise lagoon, offering the most exquisite natural attractions. This unbelievable Mauritius golf course is home to The Paradis Golf Academy, suitable for amateur and professional golfers with facilities, including training spaces, a video system, and computer software all geared at improving your golf skills. This Mauritius golf paradise is truly something to marvel at with the golf course overlooking the surrounding turquoise waters. Facilities: clubhouse with a storeroom, Pro Shop, practice balls, clubs and trolleys for hire, practice green, practice bunker and driving range. 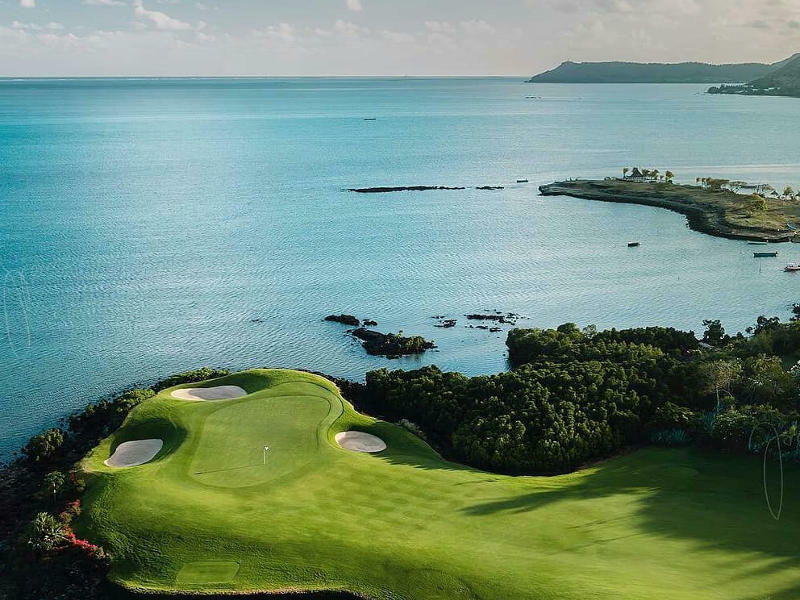 Designed by architect Rodney Wright, The Tamarina Golf Course combines thrilling technical challenges with breathtaking views of Tamarin Bay and Rempart Mountain. You’ll find this amazing golf course on the west coast of Mauritius at Tamarina Golf & Spa Boutique Hotel. At the Tamarin Golf Course, there are five different teeing options at each hole. It is the longest golf course in Mauritius. Facilities: practice area, lockers and showers, a bar and restaurant, a pro shop and golf courses for children and teenagers. 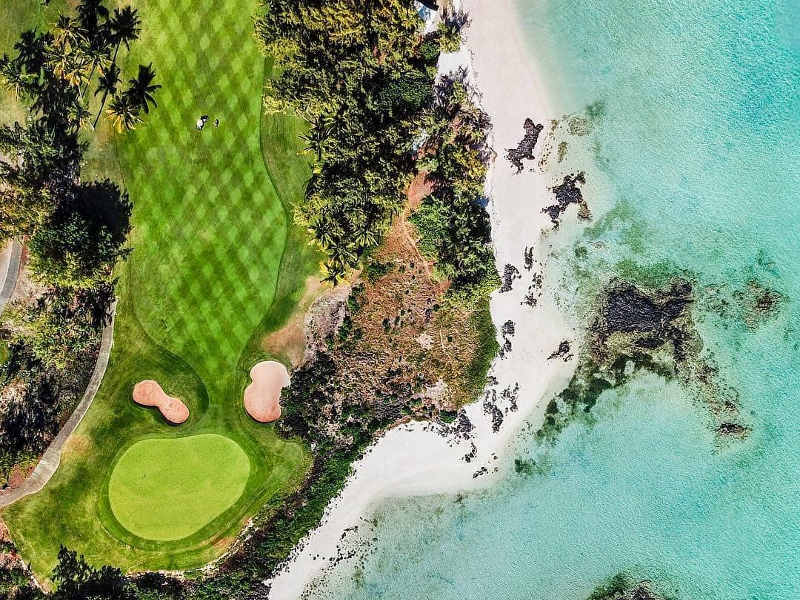 Set amongst one of the most beautiful beaches on the island of Mauritius, the Legend Golf Course is home to the Mauritius Open and “Johnnie Walker Classic” championship tournaments. 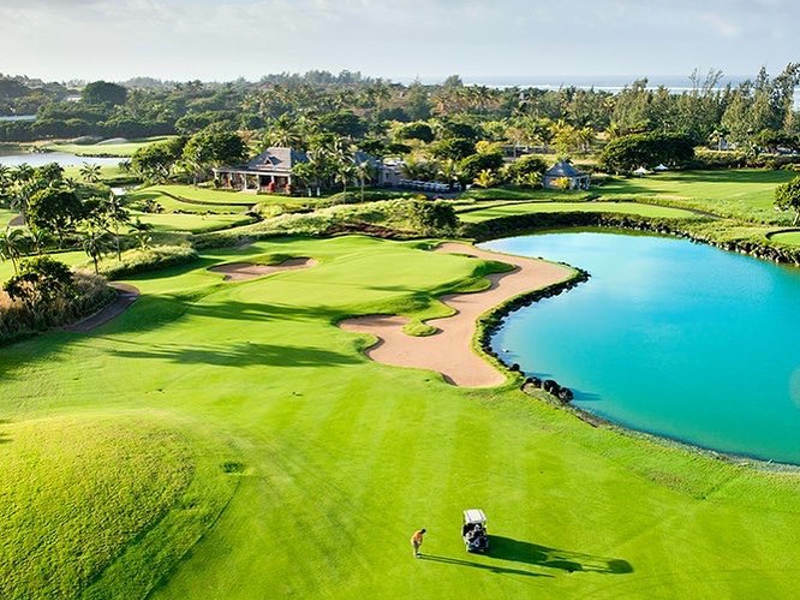 This exquisite golf course was designed by the South African champion, Hugh Baiocchi.The Legend Golf Course is the Constance Belle Mare Plage’s first championship course. It is built according to USGA specifications. Nature enthusiasts will be enthralled by this magnificent Mauritius golf course as it is nestled in the depths of an indigenous forest. When you reach the 17th hole, you’ll be able to test your skills as the golf course makes use of a small stretch of the Indian Ocean and a particularly tough green. Professionals and beginners can enjoy The Legends Golf Course. Go ahead and putt away on the amazing Tifdwarf grasses. Guests at the Constance Belle Mare Plage have free unlimited green fees. Together with its sister golf course, The Links, it hosts the MCB Tour Championship. 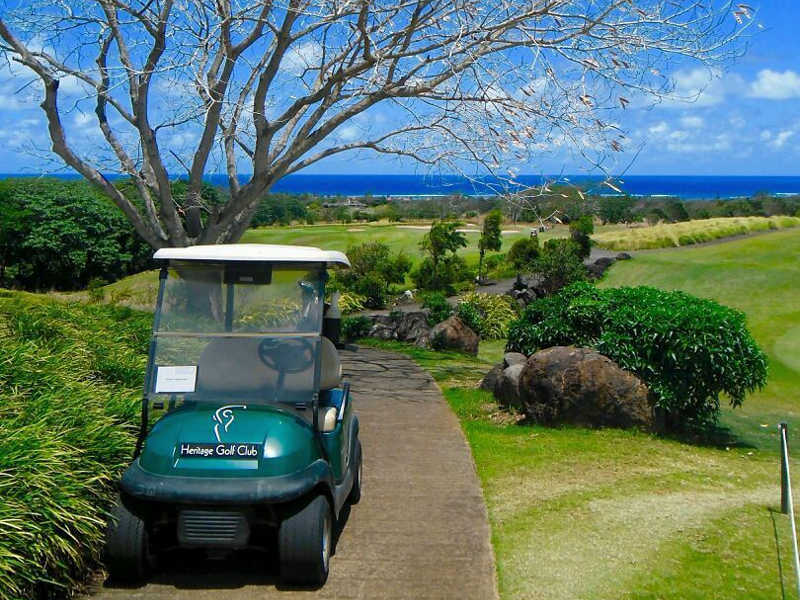 This Mauritius golf course is designed for beginners and professionals to enjoy. Facilities: golf academy, golf carts, clubhouse, Pro Shop, video swing analysis, club rental, a restaurant, and bar. Designed by Rodney Wright and Peter Allis in 2002, the Links Golf Course is the little sister of the Legends Golf Course. It is the second Constance Belle Mare Plage Championship Golf Course within the resort. Many golfers consider it extremely pleasurable to play. Golf experts describe it as a very hilly course and using a club cart is strongly recommended. Expect challenging putts with some holes protected by water. The Links Golf Course is free to guests at Constance Belle Mare Plage and Constance Le Prince Maurice Hotel. Facilities: golf clubs rental, golf cart with GPS, practice and putting green, a golf academy with lessons and coaching. You’ll find the exquisite Ile aux Cerfs Golf Course off the east coast of Mauritius. All golfers can enjoy this incredible golf course while being surrounded by the best landscape views of this privately-owned island just off the mainland. 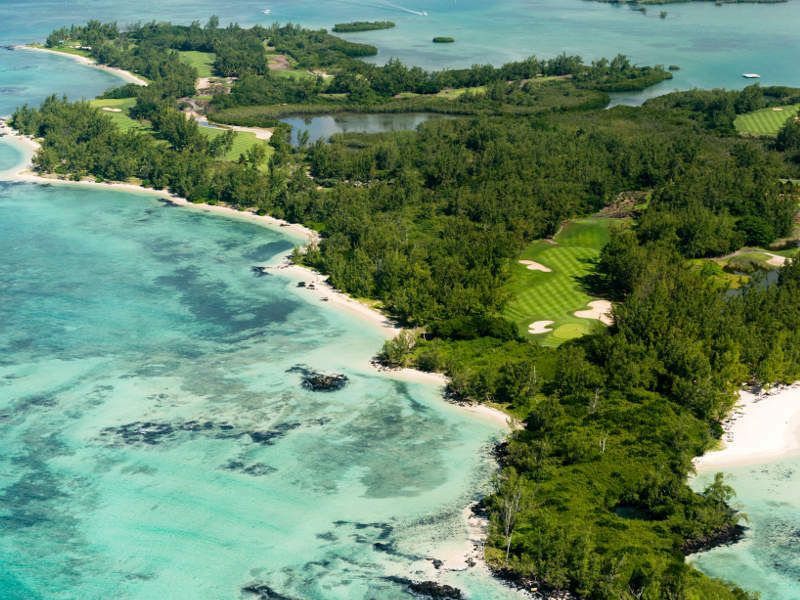 This exotic golf course is miraculously nestled on its own tropical island across Ile aux Cerfs lagoon. 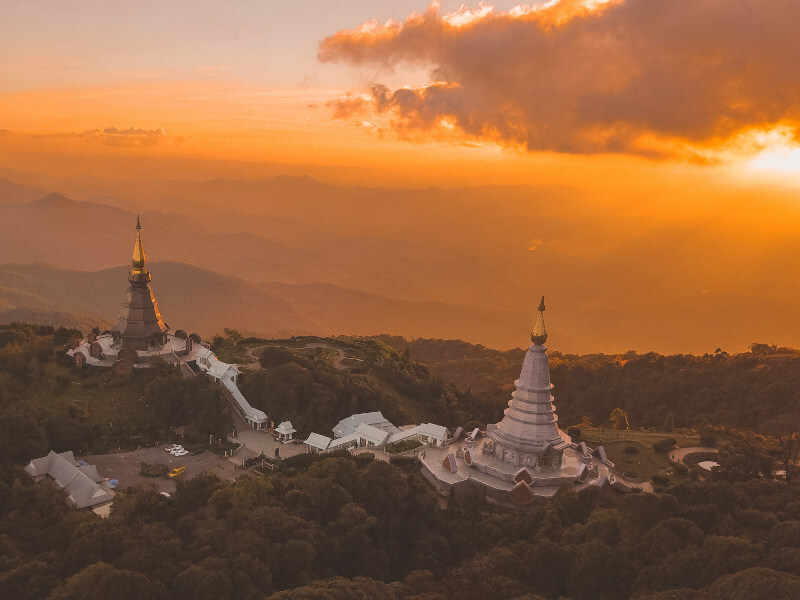 You’ll see breathtaking topography, lakes and gullies, and spellbinding volcanic rock outcrops. The course designer, Bernhard Langer, created “a golfing experience that truly arouses all the senses”. Take in the exquisite white sandy beaches as you navigate across the tricky greens. Golfers will be thrilled to know that there is a total of nine lakes with a natural backdrop of lush vegetation and towering trees.The technical difficulty is considered moderate to hard. 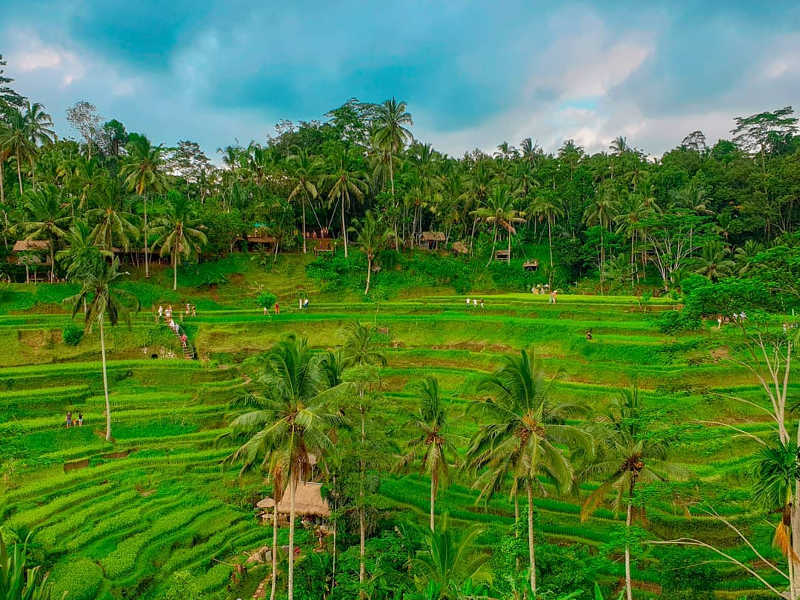 Breathtaking large fairways of Kikuyu grass are surrounded by a park while over 5000 coconut trees can be found at the Saint Géran. This exquisite golf course was designed by the renowned South African golf legend, Gary Player. The nine holes allow for all players to play irrespective of the weather conditions. This friendly and relaxed atmosphere is a great way to take in the surreal island sights while getting in a great game of golf. The One & Only Le Saint Géran Golf Course is designed for seasoned players and beginners. You do not have to be a guest at the Saint Géran Hotel to enjoy a game of golf on the 9-hole golf course. Guests at the Saint Géran receive complimentary green fees. Facilities: a golf academy (individual lessons with a professional player on the course or at the practice range as well as lessons for families consisting of all levels) and clubhouse with lockers, a Pro Shop, restaurant and bar. 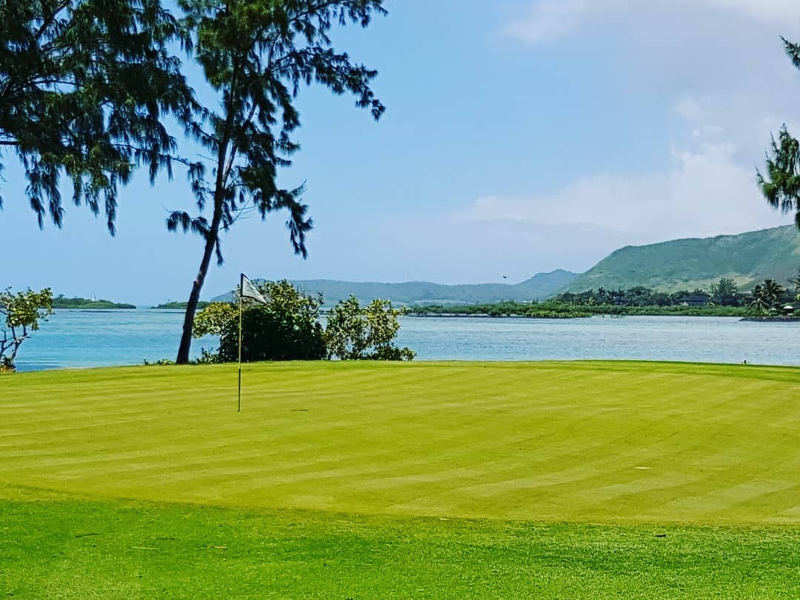 Located in the south of Mauritius, Shandrani’s “pitch and putt” golf course overlooks the Blue Bay lagoon, while nestled on a private peninsula. Golfers are treated to spectacular views as the golf course is adjacent to the beach. Shandrani Golf Course is quite small in size, which makes it an ideal course for beginners to practice and perfect their short game. It is a notably fun golf course to try. Guests at the Shandrani Resort & Spa and any other Beachcomber hotels do not pay green fees. The public can access the Shandrani Golf Course at a green fee. Facilities: clubs and trolleys are available for hire and a clubhouse with store room. Designed by the renowned Australian professional golf player, Graham Marsh, Maritim Golf Course is located at the Maritim Resort & Spa Mauritius. You can find Maritim Golf Course on the north-west of the archipelago. It is considered ideal for beginner golfers. While on holiday on this magnificently beautiful island, players of all levels can harness their golf skills. Golfers have the option of two different tees at each hole. Expect an excitingly wide range of shots on this Maritim Golf Course. Golfers can request lessons from a professional golfer for both beginners and advanced courses. Maritim Hotel residents do not pay green fees. Facilities: practising putting green, driving net, golf lessons with a professional instructor and night driving range. With the inside scoop on Mauritius’ golf courses, you are one step closer to making your golfing vacation an epic reality! Mauritius 18-hole and 9-hole courses will surely deliver the fun you’re seeking on your vacation. It’s time to tee off! 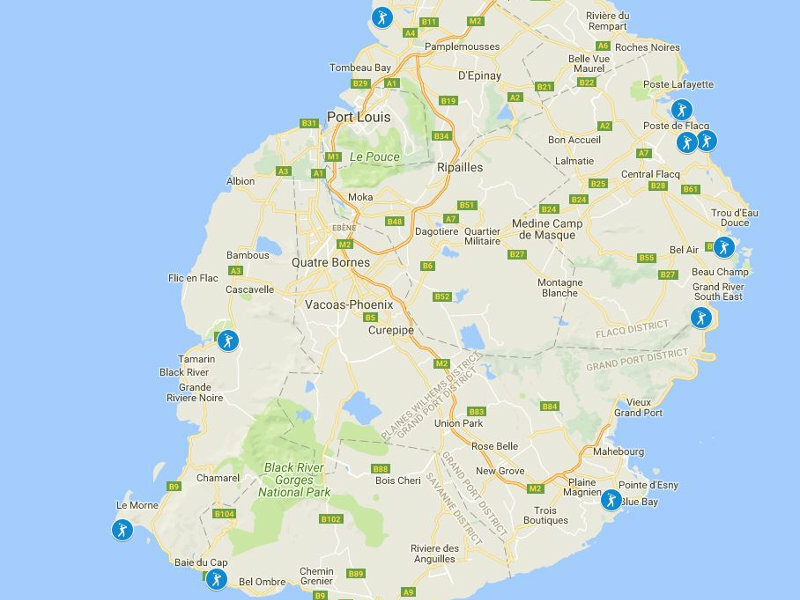 Now that you’re aware of these amazing Mauritius golf courses, you can sign up to Travelstart’s newsletter for incredible deals and promotions, giving you the chance to book an amazing trip to the island!